A beetle you don’t want to mess with! Ted Andes (ted @ndes) utilizes System, Bionicle/Hero Factory and Technic parts to brilliant effect to make one cool looking speeder bike for the new Galaxy Patrol Collectible Minifig. Also have to make mention of the awesome presentation. 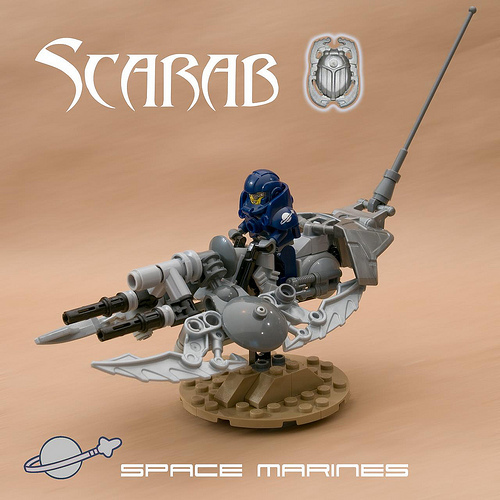 The use of the scarab shield as the logo is superb! !